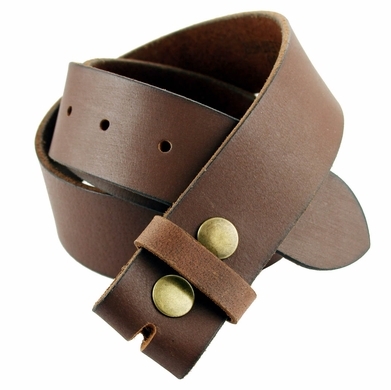 This brown belt strap is 100% leather made with snaps for interchangeable buckles: Just snap off and snap on. Strap is 1 1/2" wide. Tanned Cowhide, One piece leather, never split in half. Belt strap has 7 holes.